Dr. Bayer supervises acupuncture students at Bastyr Center for Natural Health. She is also a clinical associate in medicine at the University of Washington School of Medicine, and she works in private practice in Seattle. 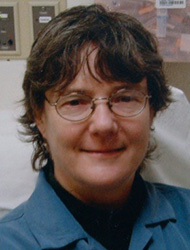 Dr. Bayer has been a faculty member at the former Northwest Institute of Acupuncture and Oriental Medicine Seattle and at Pacific College of Oriental Medicine in San Diego. She also was an acupuncture diagnostician for the National Institutes of Health-funded Group Health Cooperative SPINE study.